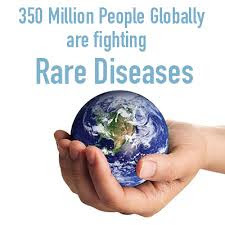 Shire plc has announced the launch of “Rare Count” in honor of Rare Disease Day and the 350 million people worldwide living with rare diseases, which equates to nearly one in 20 global citizens.1 It is estimated that 50% of rare diseases begin in childhood. The campaign, open for all to participate at www.shire.com/RareCount, highlights the under-recognized prevalence of rare diseases. The Rare Count campaign applies the “one in 20” rare disease statistic to calculate the potential number of contacts in a user’s social network who could be living with a rare disease. The shareable result represents the user’s “Rare Count” and underscores the potential personal impact of rare diseases. Anyone can go to www.shire.com/RareCount to calculate and share their individualized Rare Count through Facebook, Twitter or LinkedIn. For every person who participates, Shire will contribute $1, up to $10,000 to each of the following umbrella patient advocacy groups focused on rare diseases: National Organization for Rare Disorders, Global Genes and EURORDIS (Rare Diseases Europe). Today, there are about 7,000 known rare diseases.1 While rare disease communities are small, the overall prevalence of rare diseases may be higher than the public recognizes. Since low awareness can contribute to the ongoing challenges facing people living with rare diseases, public education is critical. Shire is timing The Rare Count campaign to coincide with Rare Disease Day, an annual awareness day focused on educating the public about rare diseases and their associated challenges. In addition to the Rare Count campaign, Shire employees at sites around the world are honoring people living with rare diseases by leading or participating in awareness-raising activities.